What is Freedom to Speak? Freedom to Speak is a specialized speech therapy practice designed specifically for people with disorders of fluency; most commonly, stuttering and cluttering. Stuttering is a complex, multidimensional problem. Because of this and the breadth of stuttering symptoms, it requires an individualized treatment plan that is tailored to the needs of each individual. Ms. Cochrane incorporates the most recent research findings in creating and developing an effective therapy plan, made specifically for each client and family. Modification of how stuttering is viewed and how one thinks about himself as a speaker, as well as deliberately implementing small changes to speech production, creates a confidence necessary for powerful communicative interactions. In addition to designing treatment to meet specific needs, various delivery models are also available including; individual and group treatment, remote therapy (teletherapy), and various designs of intensive treatment options. Freedom to Speak offers four locations for your convenience including; upstate New York (Fingerlakes region), Cape Coral Florida (conveniently settled between Naples and Sarasota/Bradenton, Naples, Florida and most convenient for my clients; teletherapy. Read more about engaging in stuttering therapy over telecommunications in our treatments section. Support group meetings are held for people who stutter themselves and also for parents, partners and care-givers. Objectives for these meetings range from learning from one another and benefitting from each person's experiences with stuttering, to building self-esteem and resilience. The objectives of the parent group are to provide an opportunity for parents to express to one another, concerns surrounding stuttering, and the issues it presents to them and their families. This venue may serve as an occasion for Ms. Cochrane to impart information about stuttering and its treatment. The quantity and scope of communication disorders prevents any one speech/language pathologist from specializing in all areas of the field. Freedom to Speak offers consultative services to colleagues in the field who request more information about stuttering. Ms. Cochrane offers assistance with assessment, treatment and basic education about fluency and fluency disorders. Full and half-day conferences can be scheduled for groups of any size. At these talks, Ms. Cochrane imparts education and information about the nature, assessment and treatment of stuttering. Contact Susan M. Cochrane for more information and on how to arrange a lecture for your group. 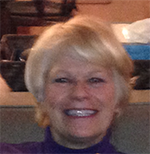 Ms. Cochrane is an ASHA Board Certified Mentor in the field of stuttering. One objective of her practice, Freedom to Speak, is to train speech and language pathologists who also desire to specialize in the area of fluency and fluency disorders. Colleges, universities and individuals may contact Susan to discuss further details.